Tired of games that don’t offer a REAL challenge? 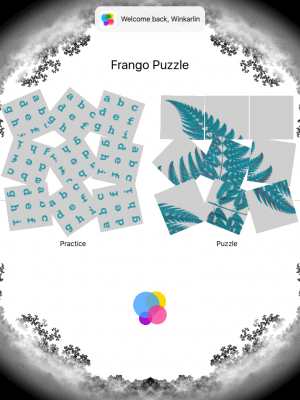 FrangoPuzzle uses the properties of fractals to create a puzzle that will have you tearing your hair out. 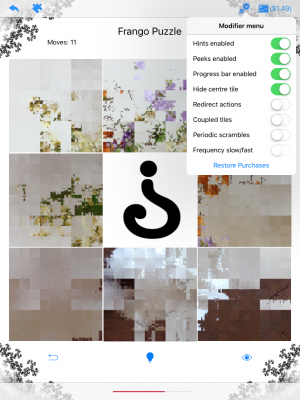 Because every time you flip or rotate a tile, tiny parts of all the other tiles change as well. FrangoPuzzle is deceptively simple – just flip and rotate the nine tiles to reveal the hidden image. 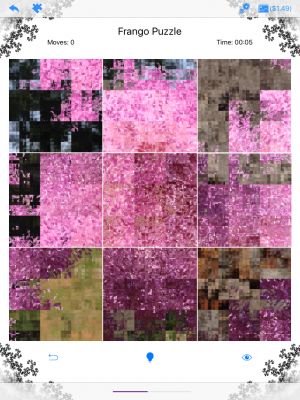 But the image is scrambled using fractal transformations, so each tile you move alters the state of every other tile. 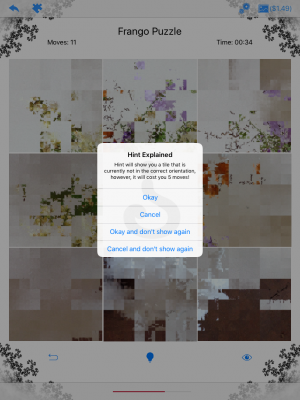 It’s a cross between a Rubik’s Cube and a jigsaw puzzle where the image is constantly changing. 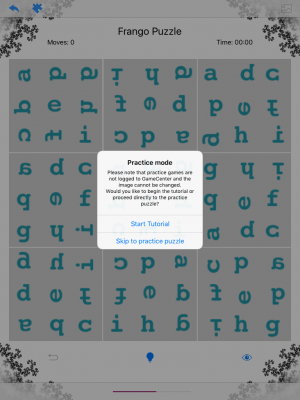 Get started with the handy tutorial and hone your skills on the practice puzzle before moving on to the main challenge. Comes pre-bundled with images of varying difficulty. Compare scores and achievements with your friends and players all over the world! Runs on iPad or iPhone, iOS 9 or higher. coupling tiles together so each movement is mirrored by another piece. For the ultimate challenge, you can have the puzzle re-scramble itself as you try to solve it! Designed and built by fractal mathematicians, FrangoPuzzle is a seriously tricky tile puzzle. Visit the Golden b Puzzles website! 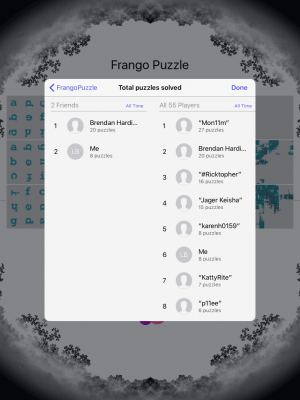 Golden b Puzzles are another innovation in mathematical puzzles from your friends at Frango Studios. Perhaps you have a suggestion for a new feature? Want some more background information on fractals? You can find lots more help on our support site. 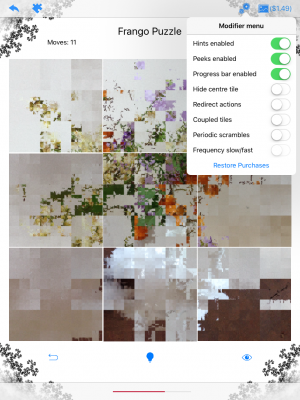 FrangoPuzzle uses two, linked chaos games to transform a picture ‘at every scale’ to create a new picture. But fractal transformations are a much more powerful mathematical idea. There are a number of published papers here and more information on Michael’s website.